The hardwood deck structure is supported beneath the water line by a series of galvanised steel supports, installed while the canal was drained, working from within the basin itself. 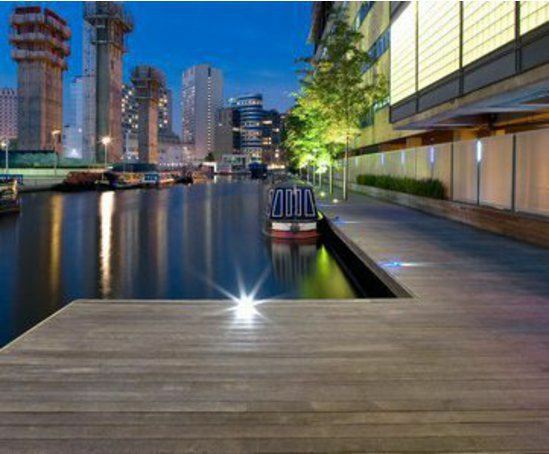 The decking accommodates a series of light fittings for a great night time canal side experience.The ekki hardwood Hi-Grip Standard deck boards provide a durable, natural finish to any waterside feature. 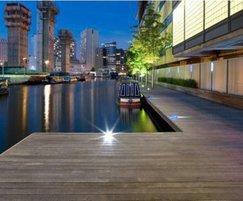 It is part of the regeneration of the Paddington Basin in central London, a high-end mixed-use development that is branded as Merchant Square.